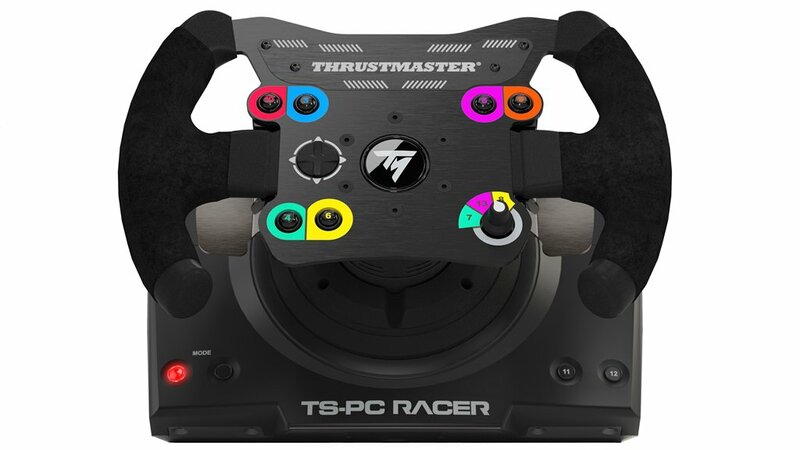 I recently upgraded my steering wheel from a Logitech Driving Force GT to a Thrustmaster TS-PC Racer. The DFGT was sold as a wheel + pedals package for about $150 while the TS-PC Racer wheel is $500 by itself. So the question I’m sure you’re asking is if the difference is worth $350. Yes, but no. Read on for what the means. There are basically 4 kinds of force-feedback (FFB) steering wheels on the market today. Low-end crap that costs less than $150. Stay away. Logitech. The current versions are the G29 and G920, which replaced the G27, G25, and DFGT. These use helical gears and costs about $300 including pedals. These are robust wheels and finding a used one cheap is a great place to start. Thrustmaster & Fanatec make belt-driven wheels. They are quieter and more powerful. They also feature removable wheels, so you can switch from GT to Formula style. Prices are $300-600. Direct-drive wheels. These are not mass-market items and have a price tag to match ($1500-3000). Logitech has been making very good wheels since the G25. Anything older than the G25 isn’t worth using. Whether you’re talking about the G25, DFGT, G27, G29, or 920, they are all very similar. The FFB is good and the wheels last a long time. I was very happy with the G25 and DFGT I had, but I wanted to try a better wheel, which means a belt-driven Thrustmaster or Fanatec. While I love sim racing, and find it a valuable learning tool, I can’t justify $1500+ for a direct drive wheel. Heck, I’m having a hard time justifying a $500 wheel. So what does $500 get you? One way to compare wheels is by the torque of their motors. Logitech wheels are around 2.5 nM. The Fanatec CSW has about twice that: 4.8 nM. The TS-PC Racer is about 6 nM. Direct drive can be 10-15 nM. More torque means a greater dynamic range for FFB effects, which translates to a more realistic feel. It also means you can run a larger, heavier, and more authentic wheel. One of the immediate differences between the TS-PC Racer and the DFGT it replaced was the sound. The DFGT was much louder. And the G25 before that was louder still. Does the external sound make a difference when you’re wearing headphones? No. But reduced noise may make other people in the house less irritated. While driving, I noticed some important differences. The TS-PC Racer transmits more subtleties in the track surface. Every bump is more bumpy. The wheel is noticeably faster too, which makes oversteer recovery more natural. But are those things worth $350 or whatever? That depends on how much spare cash you have lying around. I learned a heck of a lot about driving using Logitech wheels and have no problem recommending them to anyone as a first wheel. They also come with pedals, so the price is a real bargain. The TS-PC Racer is a better wheel though, and now that I’ve used one, it would be hard to go back. I bettered several of my best segment times within the first hour of switching wheels. While lap times are not the reason I am sim racing (I do it for training rather than competition), if that’s something you care about, higher end wheels may drop your lap times. Since YSAR usually has a video, I’ll drop a short highlight from last weekend at WGI. At the start of the clip below, I’m sliding through the inner loop on brakes. This is one of those cases where simulation training really helped out. If I brake too late, as happened here, I can keep the steering alive by modulating brake pressure while threshold braking. 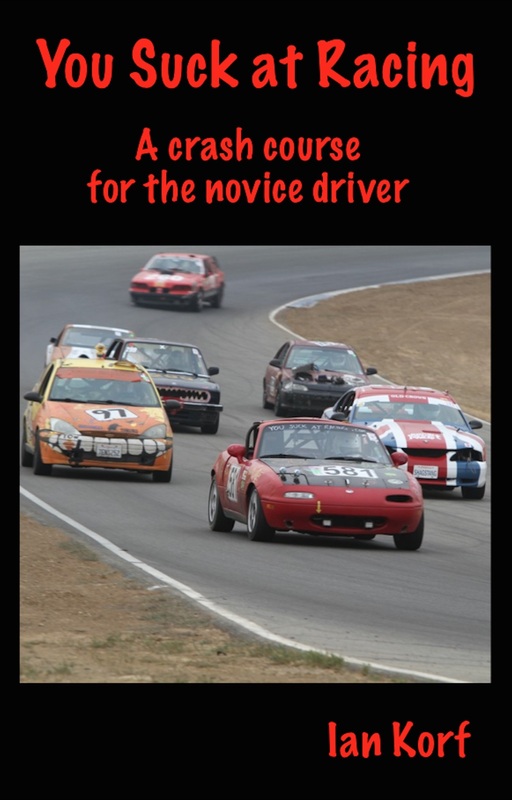 I’ve done it so many times in simulation, that it’s second nature on the track. Not long ago, I would have locked up the brakes, flat-spotted the tires, and understeered someplace I didn’t want to be. Esports Racing? Dirt Rally 2.0?